Happy Monday everyone! I've been pretty busy lately with traveling to Mexico for my best friends wedding to coming back to be part of my other girlfriends wedding. Although I enjoyed each and every minute of both weddings, I'm glad to finally be back and happy to share with you all my experience with eShakti.com. I was contacted by the lovely Jane From eShakti to collaborate with them. 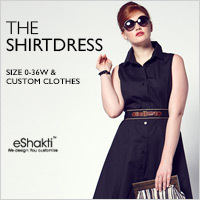 For those of you who aren't familiar with eShakti, they are an online clothing company who specializes in mass-customization of designer clothes for women. How cool is that?! Now the process is super easy. 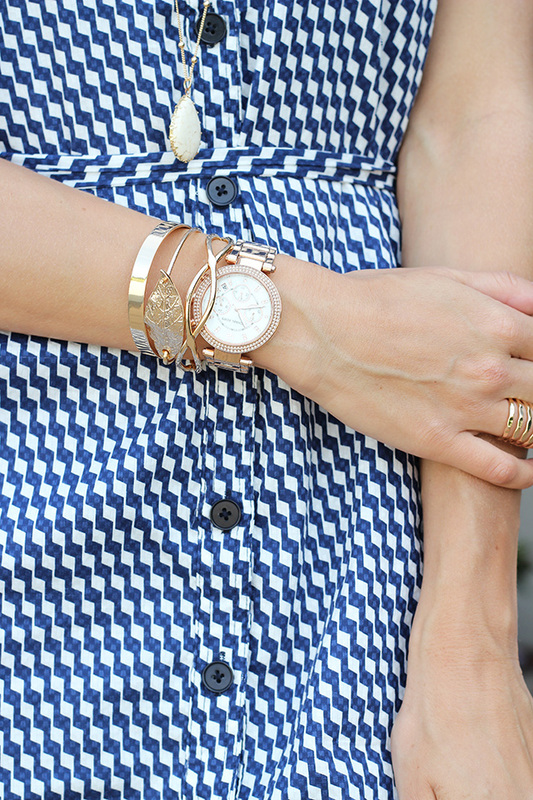 You select an outfit of your choice - I picked this beautiful Graphic Chevron Print Cotton Shirtdress in Navy/White. Put in your exact dimensions or order through the standard size. For this particular style I had the option to customize the sleeves, length, and even remove the pockets. I also took advantage of changing up the sleeves to inset cap and length to above the knee. I did however order through the standard size of XS given that my measurements were exact and kept the pockets to keep the character of the dress. Talk about endless customization! I Definitely think that more online clothing shopping needs to be like this. I picked this particular dress not only because I adore the colour blue, but because I have always loved the combo of white and blue together. I wear a lot of gold jewellery so I knew this would tie in nicely with this outfit. This particular shirtdress is also so versatile, giving me the option to dress it down or up. In this case I wanted to create a more feminine look so I added the sash tie belt(included) to cinch the waistline beautifully. To complete the look I added a pair of light brown heeled sandals, a cream cross body bag, layered with a few gold bracelets and a dainty necklace and ring. I want to thank eShakti for giving me the opportunity to work with them and for sending me this gorgeous shirtdress! I will definitely look to order with them again in the future. Now it's your turn! From now until June 11 2015 you you can get 10% off your next purchase when using the code "wunderbliss." Enjoy! Also, be sure to check them out on Instagram, Facebook, and Twitter to receive all the latest updates. *This is a sponsored post. I was provided the dress for free in exchange for this review. However, all opinions are my own. I had never heard of eShakti, but I will definitely have to check them out! Your dress is gorgeous, and I love the idea of being able to customize a dress before I order it. I've never heard of eShakti either, but I love how they make it possible to customize the clothing to actually fit your own body. Agreed that more shopping should be like this! The dress you picked is so perfect and pairs nicely with the gold jewelry. Thanks so much for this brand introduction, the dress is so beautiful and fun, but still elegant. You look really beautiful in these photos and I adore your lipstick! Thumbs up to the photographer as well, the lighting is lovely in these shots! No problem Gabrielle! Hope you end up finding something on there that you like as I know anything you pick will look amazing on you. Oh and I was actually also the photographer:P as I don't have anyone to take my photos and use my little cannon remote! So thank you so much! Really means a lot. Thank you Lena! I'm really glad I picked this particular dress as I was super excited to pair it with all the gold jewelry I have. They have lot's of pieces on the site that I know you would adore. Thanks so much for stopping by! I really like your haircut. Is it layered all throughout - or do you just have them add dimension in the front (near your face)? Sounds like you are quite busy with wedding season! That must be quite fun though! Love this beautiful dress you picked from eShakti. It looks wonderful on you! Thanks Rebecca! Yes, it's definitely been a busy few months and it wasn't even my wedding. I can't even imagine when it will be busy. I might even consider hiring a wedding planner after seeing my girlfriends wedding. You look so beautiful in that shirt dress! The accessories you chose are perfect; I love every detail. EShakti seems like a great concept; I would definitely check it out! I often have to customize clothes I order online by my local tailor. That is a pretty dress and very luxurious jewels too! This is gorgeous, I love shirt dresses for Spring. 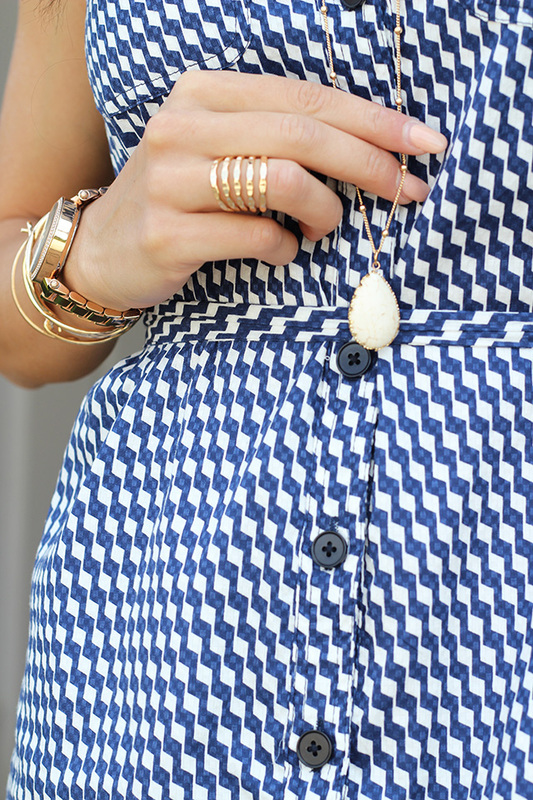 Love the dress and how you accessorized it! Thank you Ellie!! I'm pretty new to shirtdresses, but I love them already. Thanks so much for stopping by! 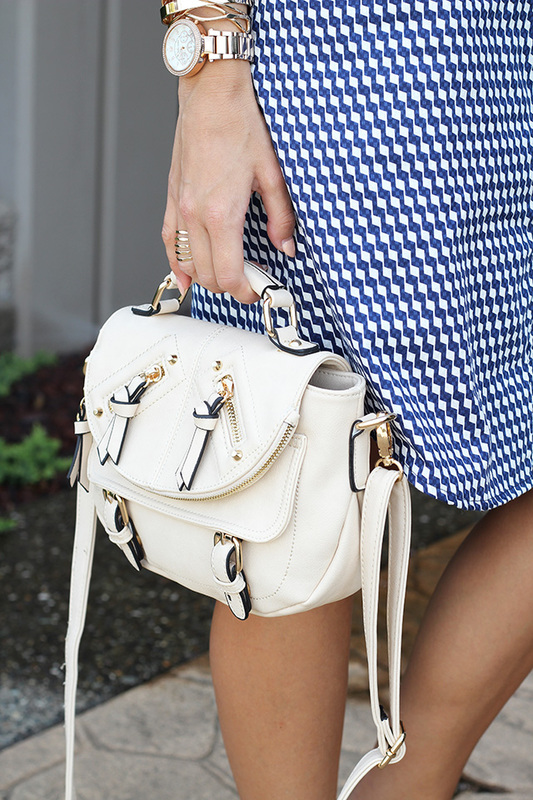 You look so great in this gingham dress! You are definitely looking like a model here:) This dress is so crisp and fresh, I really like how you paired it with a white tote and feminine tan shoes. The idea eShakti has about customization is awesome. I am petite, so it's really hard to find clothes that fit perfectly without tailoring of some sort. I can tell they did a wonderful job tailoring this dress perfectly for you. Thank you for sharing this with us! Hahah Joanna you're too sweet! You always make me smile:-). Thanks so much for the lovely comment. I think you would really like this company actually! So definitely check them out when you have a sec. I'm always pretty skeptical ordering online and I know most people are because sizing can be quite different depending where the item is coming from. You look stunning!! <3 Love your dress and all the jewellery! You look absolutely beautiful! I love your dress! And your jewelry is amazing! Thank you Jessica :-) xoxo And thanks so much for stopping by! Never heard of it before but it sounds very good, I agree more online shopping need to give you options an dmore info about sizes, the dress you pick is lovely very fresh! You look very lovely in that dress! I've never heard of it, but it sounds so ideal!! I also love the sandals you are wearing, so chique but simple! Love, Layla Rosita | Check out my May wishlist here!